Written after 420 C.E. to a man named Laurence, this wonderful book by St. Augustine is a short treatise on the proper mode of worshipping God. Following 1 Corinthians 13, St. Augustine describes true worship of God through faith, hope, and love. 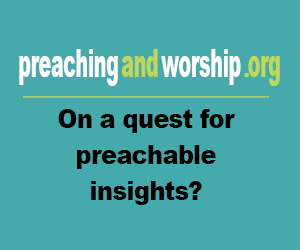 In thirty-three small chapters, St. Augustine's description of true worship covers all the major ideas of the Christian religion, providing new and interesting insights on each idea. 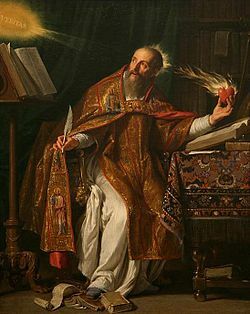 Given that it was written less than a decade before he died, St. Augustine's Handbook contains some of his most mature reflections on Christian doctrines. Both those looking to understand the proper mode of worshipping God and those just interested in a brief encapsulation of St. Augustine's mature thought should look no further than Handbook of Faith, Hope, and Love. It is beneficial for personal and theological study. Basic information: Augustine of Hippo (Latin: Aurelius Augustinus Hipponensis; November 13, 354 – August 28, 430), also known as Augustine, St. Augustine, St. Austin, St. Augoustinos, Blessed Augustine, or St. Augustine the Blessed, was Bishop of Hippo Regius. He was a Latin philosopher and theologian from Roman Africa. His writings were very influential in the development of Western Christianity. According to his contemporary, Jerome, Augustine "established anew the ancient Faith.